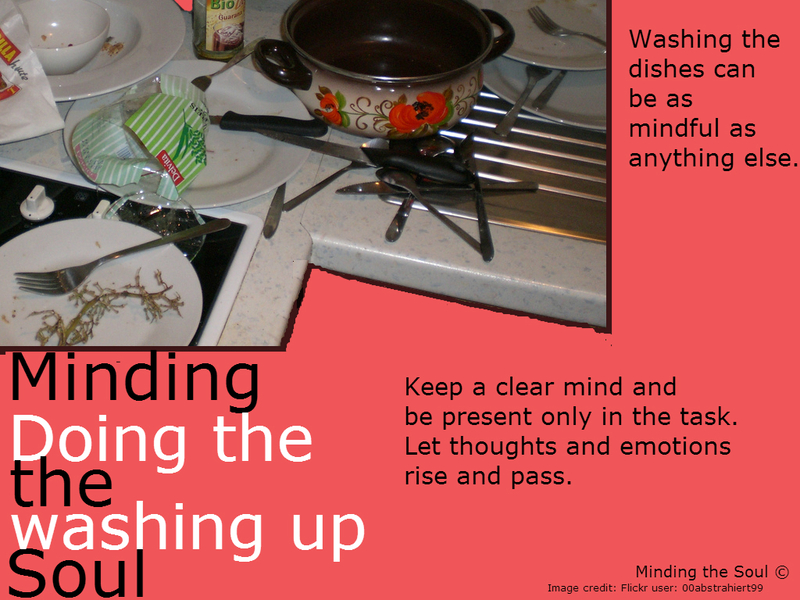 Welcome to the first part of The Mindfulness Challenge! 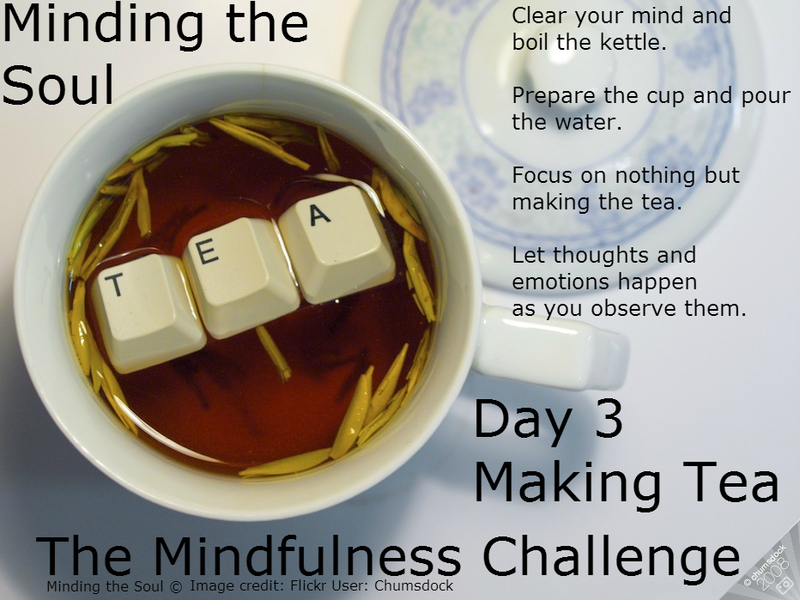 Over the week this challenge will show you mindfulness techniques that you can use to bring mindfulness, space and awareness into your day. 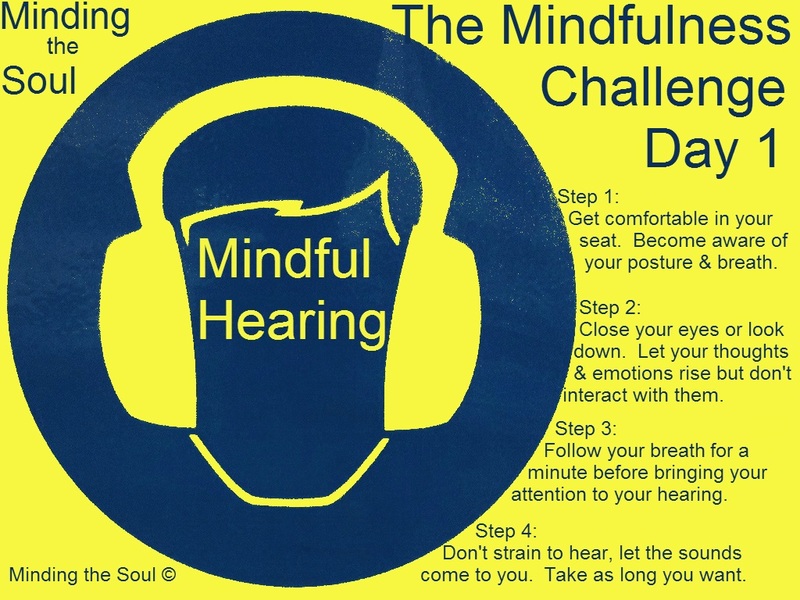 Day 1 looks at mindful hearing. The practice of mindful hearing lets can be practiced from a couple of minutes to any amount of time. Get comfortable and bring your attention to your breath. Allow thoughts and emotions to happen in your mind without engaging with them. After a minute bring your attention to your hearing and let the sounds come to you without effort or strain.